As all weeping women before us. That their tears fall as silent as death. Copyright © Rain Prud'homme-Cranford. All rights reserved. 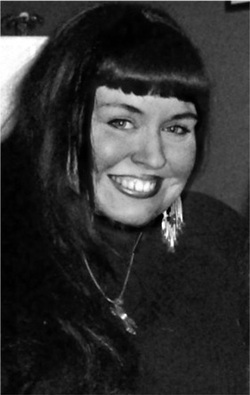 ABOUT THE AUTHOR: Rain Prud'homme-Cranford is a poet, academic, musician and spoken word artist. Currently she is a Sutton Fellowship Doctoral student in English at the University of Oklahoma. She is the author of Smoked Mullet Cornbread Crawdad Memory, winner of the Native Writers' Circle of the Americas First Book Award, Poetry. Her work has appeared in various journals including Ahani: Indigenous American Poetry and American Indian Culture and Research Journal. Rain’s critical work focuses on (re)inserting Mvskogean and Creole Indigeneity into Southern Literary experience.